It’s simple. To be the leading provider of Canine Massage Therapy Training as a science based complementary therapy that rehabilitates muscular injuries, provides pain management for orthopaedic conditions and maximises athletic performance. We are dedicated to helping expand and develop people’s knowledge when it comes to understanding canine massage therapy. 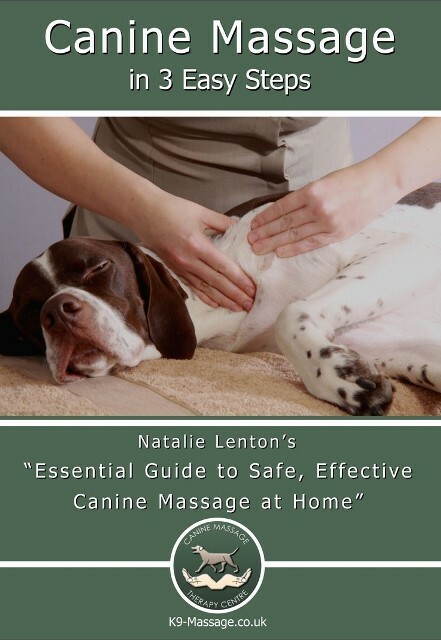 From 1 day workshops, to practitioner level training, CPD, and professional speaking right through to the extensive library and information on our website as well as our DVD and webshop, we pride ourselves on disseminating at all levels the information that leads to more dogs being helped with this non invasive natural therapy. 7 direct myofascial releases developed by our Course Director over years of practice in this therapy. Importantly all our tutors are dedicated to the continuous development of their own skills and attend many courses to ensure their knowledge is up to date. To help you with sporting injuries right through to stiffness, slowing down and into your senior years. Our commitment is to keep spreading the word about canine massage to help more dogs everywhere. We promote an ethical, skilled professional approach ensuring that all therapists we train respect the Veterinary Act 1966 and Exemptions Order 2015 and commit to never working on a dog without vet consent. We also ensure that our 1 day workshop attendees understand that our 1 day workshops are for use with their own dogs only. We are part of the Review of Minor Procedures Regime as part of the Massage and Soft Tissue Group (MAST) feeding into DEFRA and the Royal College of Veterinary Surgeons. We let owners know when massage may help their dog and importantly, when it can’t.